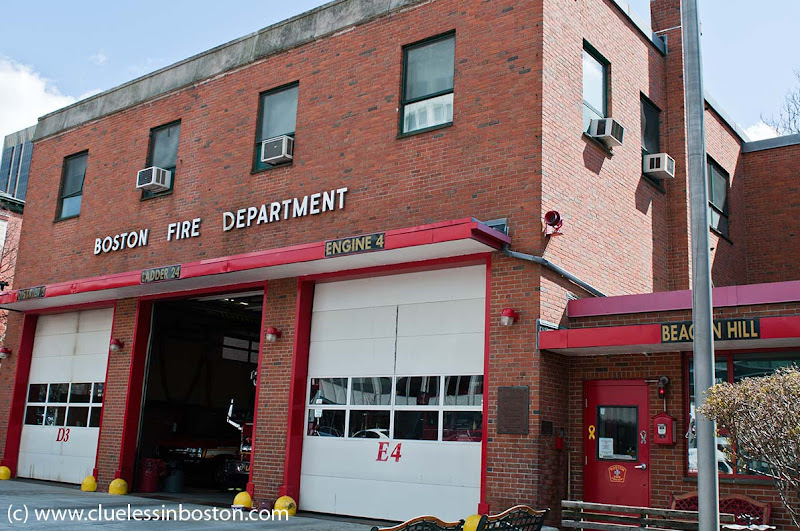 This week's doorway is the fire house on Cambridge Street. Isn't it odd that, in a city with such wonderful domestic architecture, they built such a plain fire station? Beacon Hill... I adore American fire engines, I can just about see a little bit of one! I love fire houses! My dad's a retired firefighter and I used to visit all the time when I was a kid.